** Bombaro, John J. Jonathan Edwards’ Vision of Reality: The Relationship of God to the World, Redemption History, and the Reprobate (Wipf & Stock, 2011). * Cherry, Conrad The Theology of Jonathan Edwards, A Reappraisal (University of Indiana Press, 1966). ** Cochran, Elizabeth Agnew Receptive Human Virtues: A New Reading of Jonathan Edwards’s Ethics (Pennsylvania State University Press, 2010). ** Crisp, Oliver D. Jonathan Edwards and the Metaphysics of Sin (Ashgate, 2005). ** _____________ and Sweeney, Douglas A. eds. After Jonathan Edwards: The Courses of The New England Theology (Oxford University Press, 2012). ** Elwood, Douglas The Philosophical Theology of Jonathan Edwards (University of Columbia Press, 1960). ** Fiering, Norman Jonathan Edwards’s Moral Thought in its British Context (University of North Carolina Press, 1981). ** Guelzo, Allen C. Edwards on The Will: A Century of Theological Debate (Wipf and Stock, 2007 ). * Gura, Philip Jonathan Edwards, America’s Evangelical (Hill and Wang, 2005). ** Hatch, Nathan and Stout, Harry eds., Jonathan Edwards and the American Experience (Oxford University Press, 1988). ** Helm, Paul and Crisp, Oliver D. eds., Jonathan Edwards: Philosophical Theologian (Ashgate, 2003). ** Holbrook, Clyde A. The Ethics of Jonathan Edwards: Morality and Aesthetics (University of Michigan Press, 1973). ** Holmes, Stephen R. God of Grace and God of Glory, An Account of the Theology of Jonathan Edwards (T&T Clark, 2000). ** Lee, Sang The Philosophical Theology of Jonathan Edwards, Expanded Edition (Princeton: Princeton University Press, 2000 ). ** Lee, Sang Hyun ed. The Princeton Companion to Jonathan Edwards (Princeton University Press, 2005). * Marsden, George Jonathan Edwards, A Life (New Haven: Yale University Press, 2003). ** McClymond, Michael J. Encounters with God, An Approach to the Theology of Jonathan Edwards (OUP, 1998). * McClymond, Michael J. and McDermott, Gerald The Theology of Jonathan Edwards (New York: Oxford University Press, 2011). * McDermott, Gerald R. ed. Understanding Jonathan Edwards, An Introduction to America’s Theologian (Oxford University Press, 2009). ** Miller, Perry Jonathan Edwards (William Sloane, 1949). ** Morris, William S. The Young Jonathan Edwards: A Reconstruction (Wipf & Stock, 2005 ). * Plantinga Pauw, Amy “The Supreme Harmony of All”: The Trinitarian Theology of Jonathan Edwards (Eerdmans, 2006). ** Schweitzer, Don ed. Jonathan Edwards as Contemporary: Essays in Honor of Sang Lee (Peter Lang, 2010). * Schweitzer, William H. God is a Communicative Being: Divine Communicativeness and Harmony in the Theology of Jonathan Edwards (T&T Clark, 2012). * Stein, Stephen J. ed. The Cambridge Companion to Jonathan Edwards (Cambridge University Press, 2008). ** Strobel, Kyle C. Jonathan Edwards’s Theology: A Reinterpretation (T&T Clark, 2012). **Studebaker, Steven M. and Caldwell III, Robert W. The Trinitarian Theology of Jonathan Edwards: Text, Context and Application (Ashgate, 2012). * Sweeney, Douglas A. Jonathan Edwards and the Ministry of the Word: A Model of Faith and Thought (IVP Academic, 2009). ** Tracy, Patricia J. Jonathan Edwards, Pastor: Religion and Society in Eighteenth Century Northampton (Hill and Wang, 1980). ** Wilson, Stephen A. Virtue Reformed: Re-reading Jonathan Edwards’ Ethics (E. J. Brill, 2005). 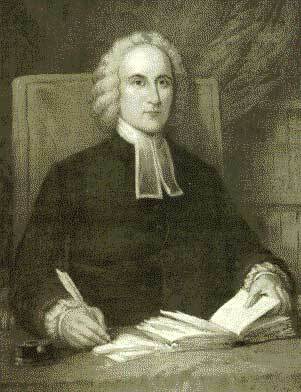 * Winslow, Ola Jonathan Edwards 1703-1758 (Collier Books, 1940).